Watch three very average climbers suffer their way up the Nose at a snails pace. In true British style we made our ascent totally unprepared and arrogant as to how difficult it would be. 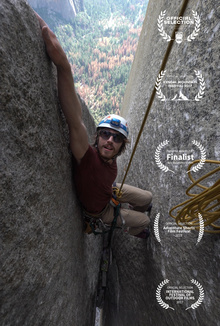 The filmmaking style is a unique take on documentary and breaks the mould of a stereotypical climbing film. Although the film is set on the Nose of El Capitan, really, the story is about adventuring in general.